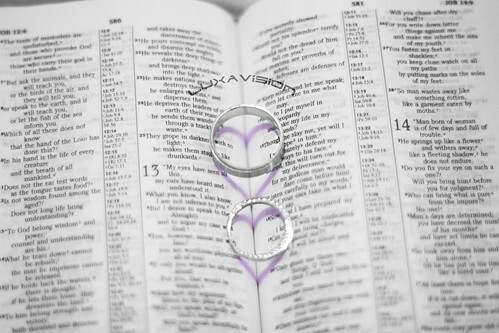 Posted on 26 August 2009 by Liza Mae V.
What is the purpose of a wedding ring? Why do we wear it on the left hand on the 4th finger, also known as the ring finger? “In other countries such as Colombia, Haiti, Denmark, Germany, Greece, Hungary, Mexico, Norway, Peru, Poland, Russia, Spain (except in Catalonia), Macedonia, Ukraine, Venezuela and Serbia, however, it is worn on the right hand. Orthodox Christians and Eastern Europeans (except for the Romanians) also traditionally wear the wedding band on the right hand. Jewish women wear the wedding ring on the left hand, even though it is placed on the right hand during the marriage ceremony. Men do not traditionally wear rings at all although in some of the “Modernist” movements it has begun to gain currency. In The Netherlands, Catholics wear it on the left, Protestants on the right; in Austria, Catholics wear it on the right. In Belgium, the choice of hand depends on the region of the country. Greek people, many being Orthodox Christians, also wear the wedding rings on the right hand in keeping with Greek tradition. A traditional reason to wear the wedding ring on the right hand stems from Roman custom and biblical references. The Latin word for left is “sinister”, which in addition to this sense also has the same senses as the English word. The Latin word for right is “dexter”, a word that evolved into “dexterity”. Hence, the left hand had a negative connotation and the right a good one. For the same reason, an oath is sworn while raising the right hand. Traditionally, in some parts of India among those practicing Hinduism, a toe ring or bichiya is worn instead of a ring on a finger, although this is only for women, and increasingly worn along with a finger ring. In the eastern parts of India, primarily West Bengal, an iron bangle, or ‘loha’ is worn by women. Increasingly, this bangle is given a gold or silver coating to improve its appearance.